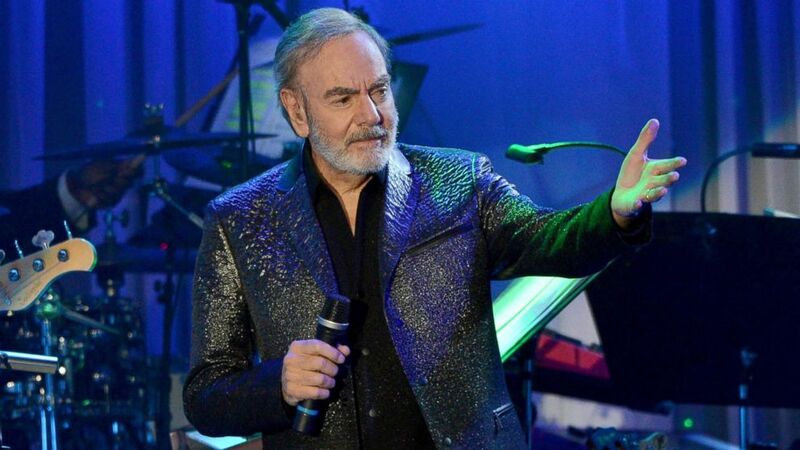 Music legend Neil Diamond announced Monday he would be unable to finish the final leg of his tour because of a recent diagnosis of Parkinson’s disease. Here, we take a look a few basic facts about the disease, symptoms that lead to it, and different forms of treatment. Parkinson’s Disease (PD) is a long-term, neurodegenerative disease that results in movement-related problems, commonly referred to as “motor” functions. These include impaired balance and coordination, slurred speech and difficulty walking. Muhammad Ali at the JW Marriott Desert Ridge Resort & Spa, March 28, 2009, in Phoenix. The condition occurs in 1 percent of adults over the age of 60, and it is rarely diagnosed before 50. Other well-known celebrities with PD include Muhammad Ali and Michael J. Fox. Michael J. Fox attends the 2017 A Funny Thing Happened on the Way to Cure Parkinson’s event at the Hilton New York, Nov. 11, 2017, in New York City. The exact cause of PD is unknown, but what we do know is certain brain cells called neurons in the brains of patients with PD die off prematurely. These neurons normally produce a hormone called dopamine, which plays a crucial role in allowing us to move normally. Without these neurons, the brain is deprived of dopamine, which leads to many of the movement issues seen in PD. Symptoms are usually mild early in the disease and might not be recognized for several months. Most patients will experience tremors of a hand or leg, difficulty rising from a chair, a shortening of their steps while walking, impaired balance, slowed movements — also called “bradykinesia” — or stiffening of their muscles. It is also possible to experience changes in your speech or ability to write. PD tends to progressively worsen over several years. Later on, mood and behavior changes, such as depression, are common. Issues with sleep and thinking may also develop. Dementia occurs only in the latest stages of the disease. If you or your primary care doctor are concerned about PD, they will likely send you to see a neurologist (a doctor who specializes in movement diseases). There is no specific test to diagnose PD; instead, the neurologist will do a thorough history and physical exam to look for signs of PD. While there is no cure for PD, many patients with PD still enjoy a high quality of life with several different treatments, including medication, physical rehabilitation and possibly surgery. The most common medication used in PD is called Carbidopa/Levodopa (Brand name: “Sinemet”). This medication replenishes some of the dopamine that is missing in the brain. Doctors may use several other medications as well to help with the symptoms of the disease. Physical therapy and regular exercise can improve the symptoms of PD and is highly recommended for all patients; a doctor may also advise patients to do speech therapy. Your doctor may also discuss a surgical procedure called deep brain stimulation (DBS). This is usually only done in PD patients with advanced symptoms.